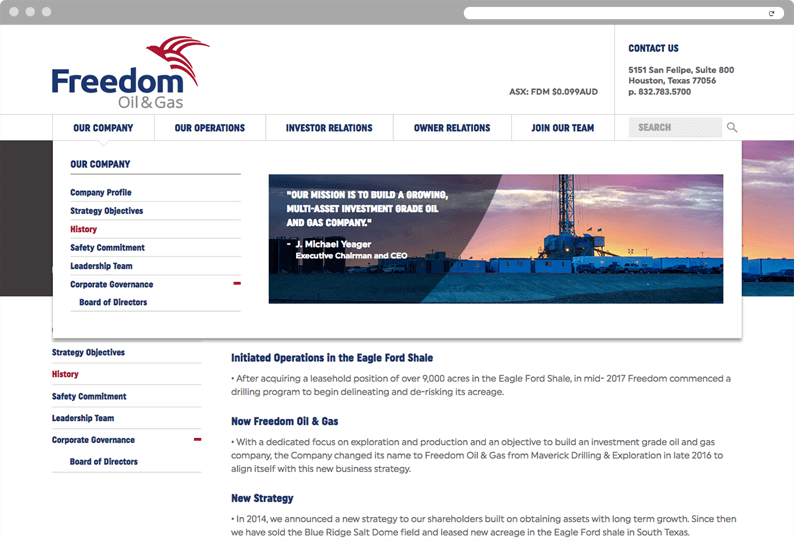 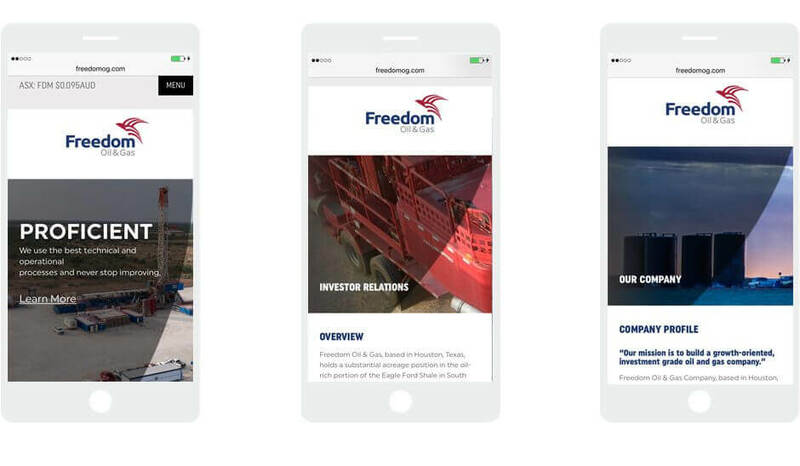 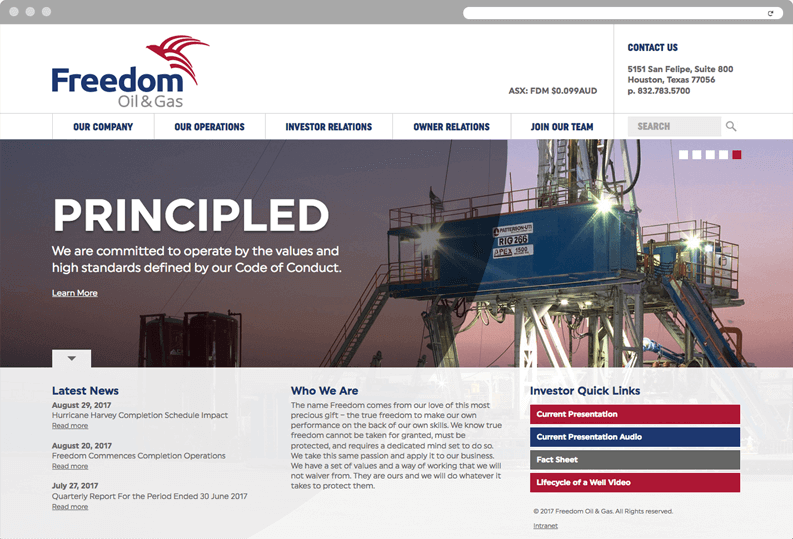 When Maverick Drilling & Exploration decided to transform itself into a new dynamic E&P company, Freedom Oil & Gas was born. 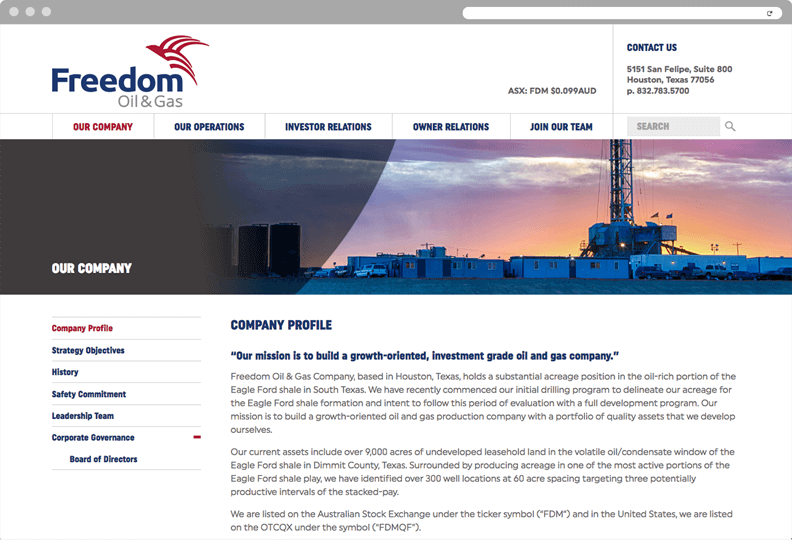 To launch the company, Xenn created a new brand, messaging, marketing materials and website. 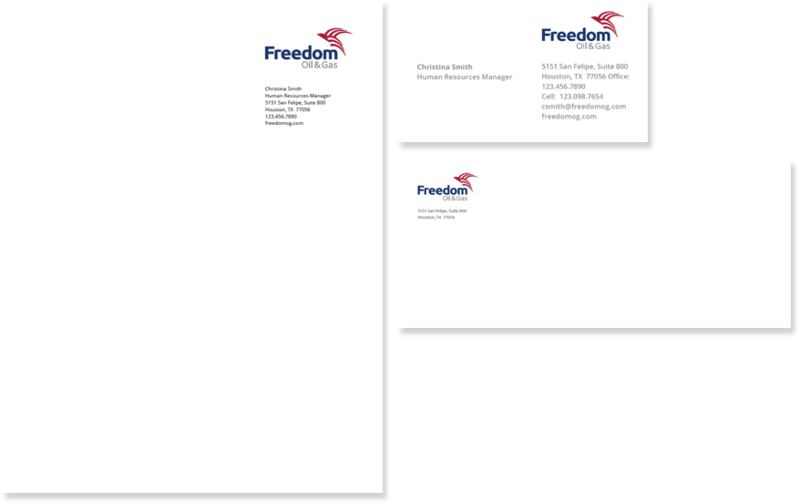 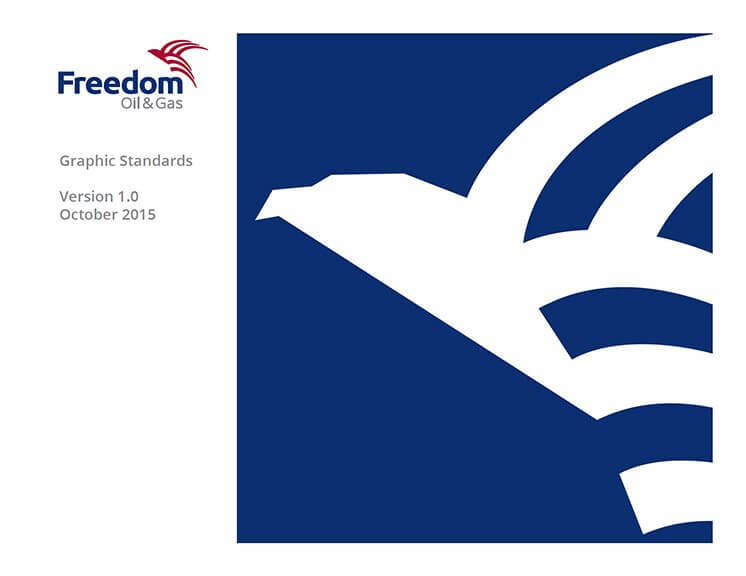 Freedom is off and running, and Xenn continues to reinforce the company’s growth and leadership through strong creative support.